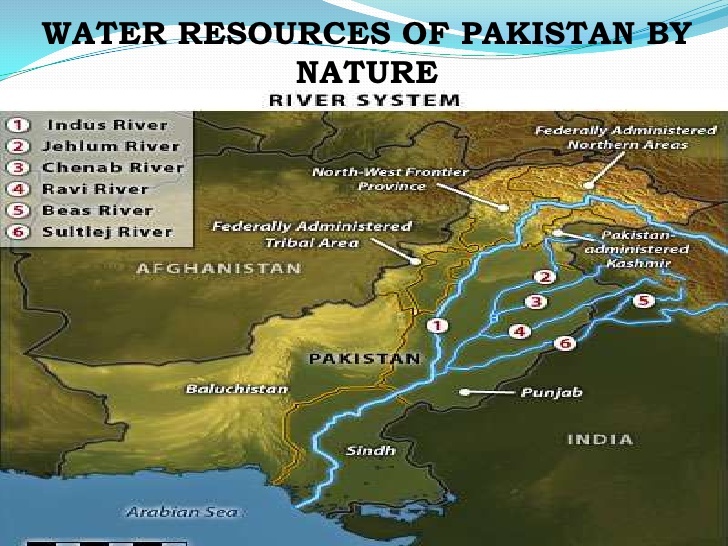 Water Resources of Pakistan | Water Budget of Pakistan | Dams, Barrages, Reservoirs, Rivers, Canals etc. According to the United Nations' "UN World Water Development Report", the total actual renewable water resources decreased from 2,961 m³ per capita in 2000 to 1,420 m³ per capita in 2005. A more recent study indicates an available supply of water of little more than 1,000 m³ per person, which puts Pakistan in the category of a high stress country. In view of growing population, urbanization and increased industrialization, the situation is likely to get worse. In addition, increasing pollution and saltwater intrusion threaten the country's water resources. About 36% of the groundwater is classified as highly saline. 59,200 kilometers of distribution canals. More than 160,000 watercourses comprise the distribution network that takes water directly to the farms. More than half of these watercourses are in Punjab—the largest of the country’s four provinces and the biggest agricultural producer. The system commands a land area of 14.3 million hectares, making it the backbone of Pakistan’s agriculture and contributes one-fourth of country’s total gross domestic product (GDP). About 29% of water is generated through hydropower.